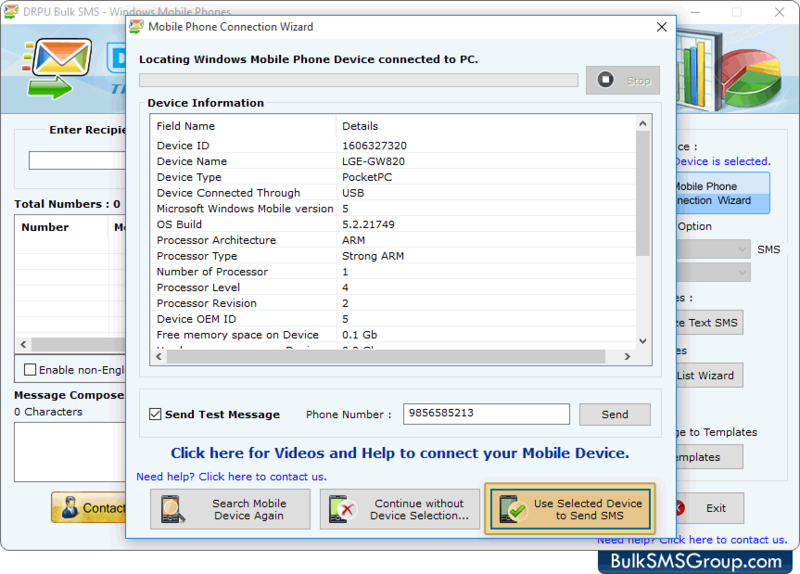 Here, Mobile Phone Connection Wizard shows selected device information like Device ID, Device Name, Device Type, etc. 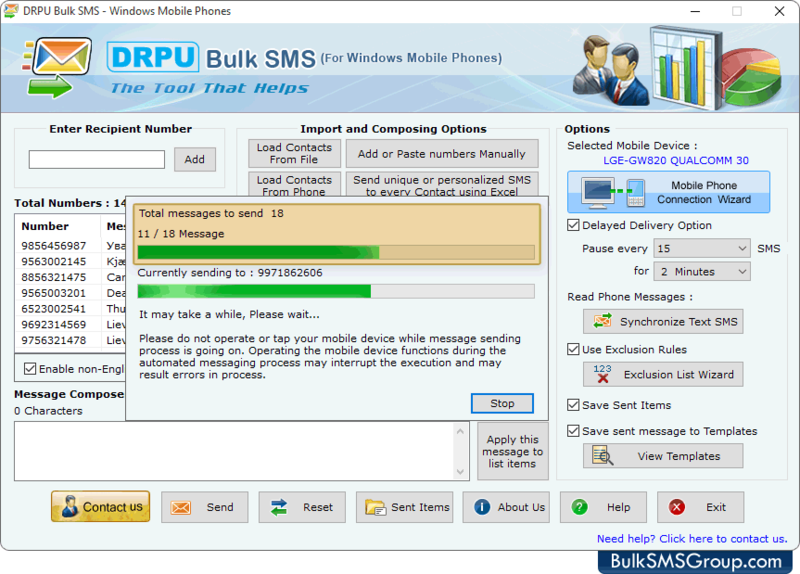 Click on 'Use Selected Device to Send SMS' button for SMS sending process. 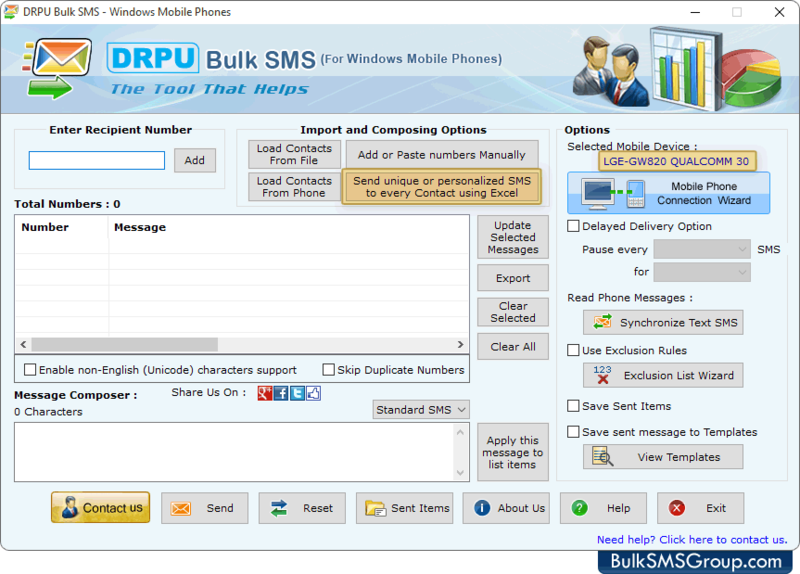 Select “Import and Composing options” like Load Contacts from File, Add or Paste numbers Manually, Load Contacts from Phone and Send unique or personalized SMS to every Contact using Excel. 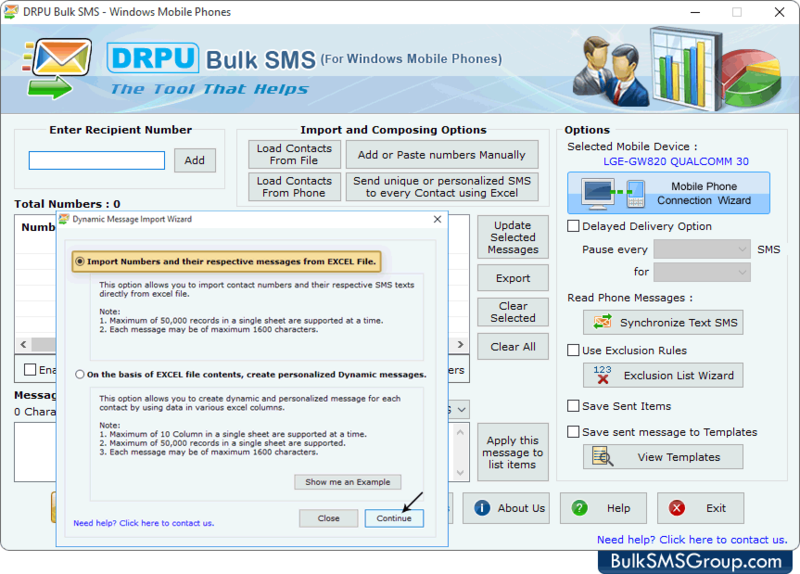 Here, we have selected 'Send unique or personalized SMS to every Contact using Excel' option. 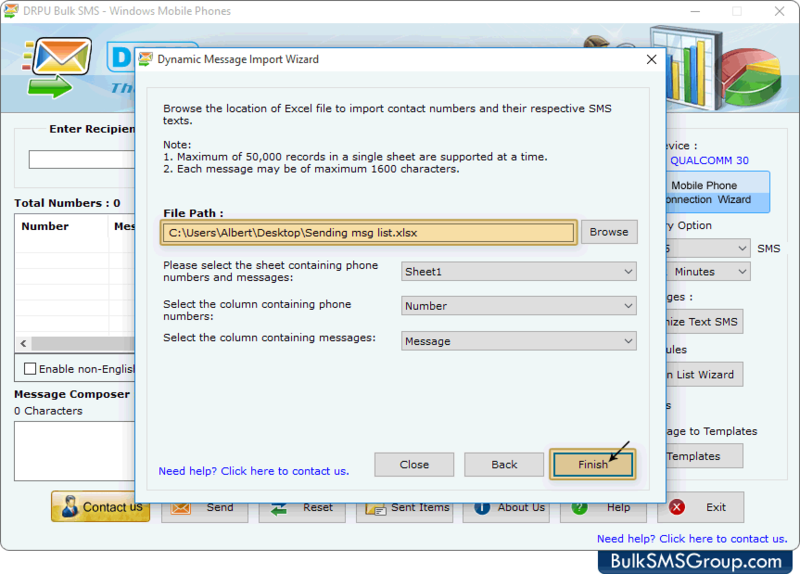 Choose option either "Import Numbers and their respective messages from Excel File" or "on the basis of EXCEL file contents, create personalized Dynamic messages" and then click on 'Continue' button. 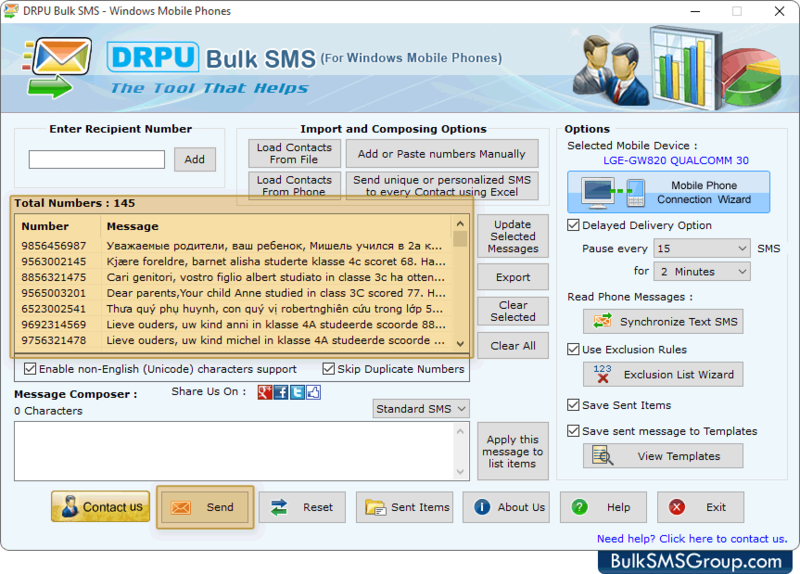 Browse the path of excel file to import contact numbers and their respective messages. Now, click on 'Finish' button. Press 'Send' button to send group SMS.